When I think of southern Colorado, I think mountains, specifically the San Juan range, which is home of some of my favorite summits. But SoCo has its fair share of desert too. The land wedged between the San Juans and the Sangre de Christos is shielded from rain by the mountains, creating an arid landscape in the midst of snowcapped peaks. 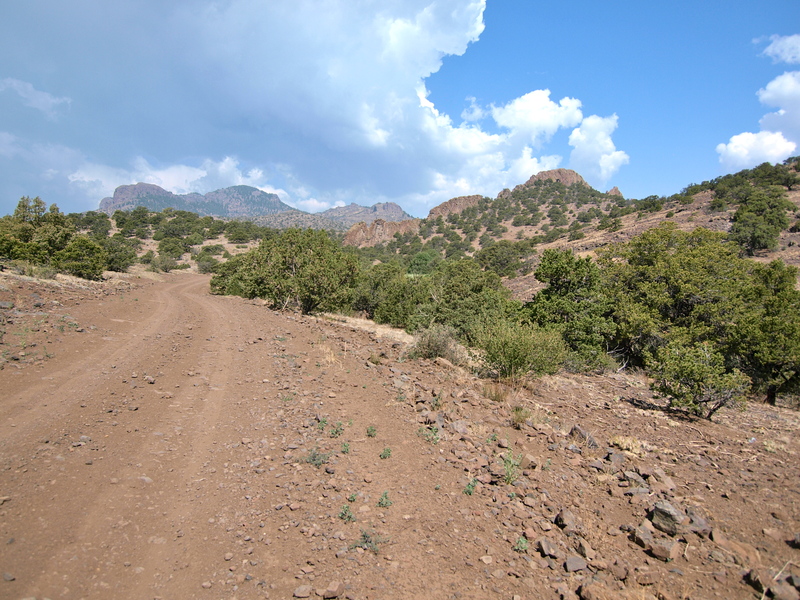 Rugged roads leading into BLM land. 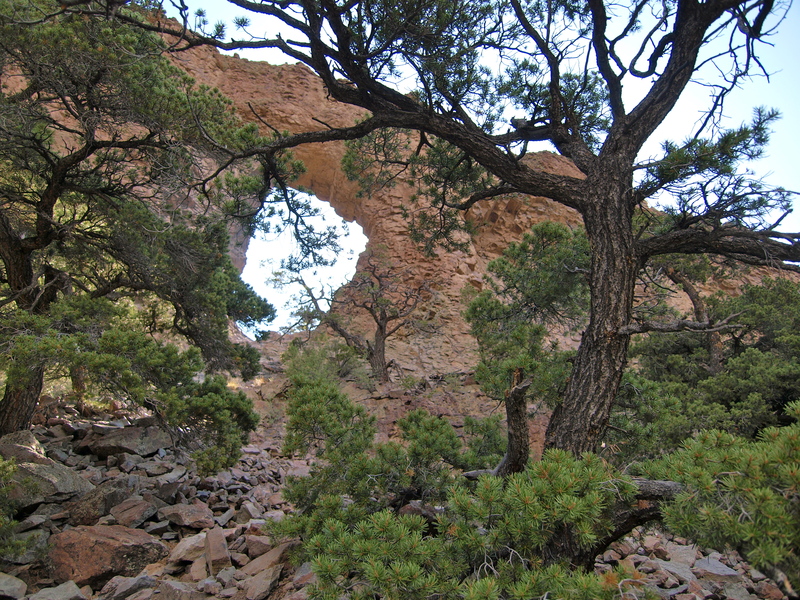 The La Ventana Arch is through the ridge on the right. Much of this space, north of Del Norte, west of highway 285, is no man’s land: public lands held by the Bureau of Land Management. These public lands belong to you and me. In these places, this country is still free. I had heard that somewhere in this desert is an arch in volcanic rock. Arches, like those in Arches National Monument, are most commonly formed by freeze and thaw cycles in sandstone, a sedimentary rock. Volcanic rocks don’t often weather this way, but there are always exceptions. 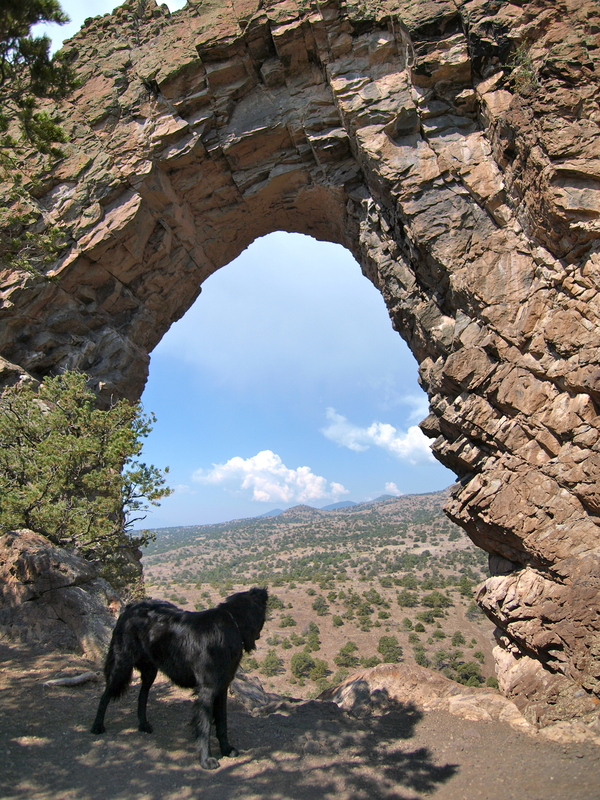 I found La Ventana Arch high on a ridge, near the intersection of county roads A32 and 35C, just east of Eagle Mountain. Hiking up to the arch, at an elevation over 8,000 feet, was a scramble, but the views of the San Luis Valley through the aperture were well worth it! 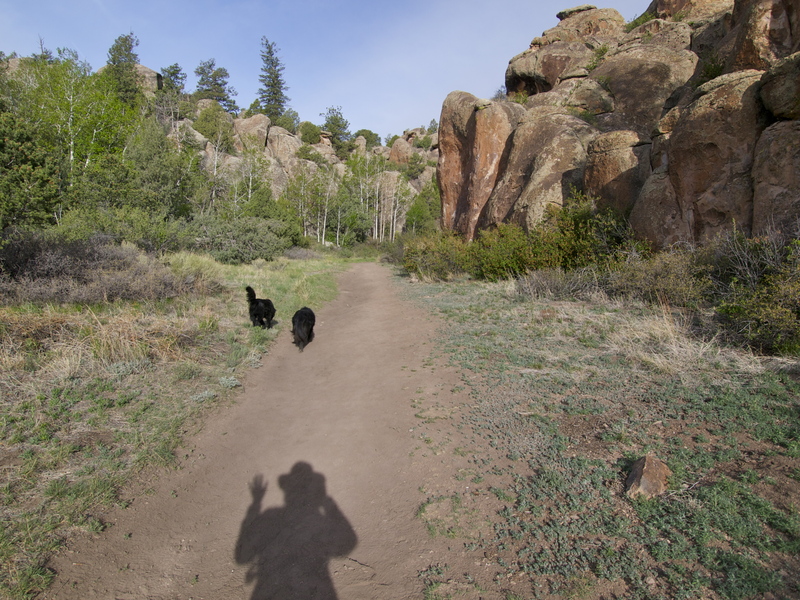 After checking out the arch, I headed to Penitente Canyon to camp for the night. Camping on BLM land is usually free but this was $11 a night! Granted, this is something of a famous place. 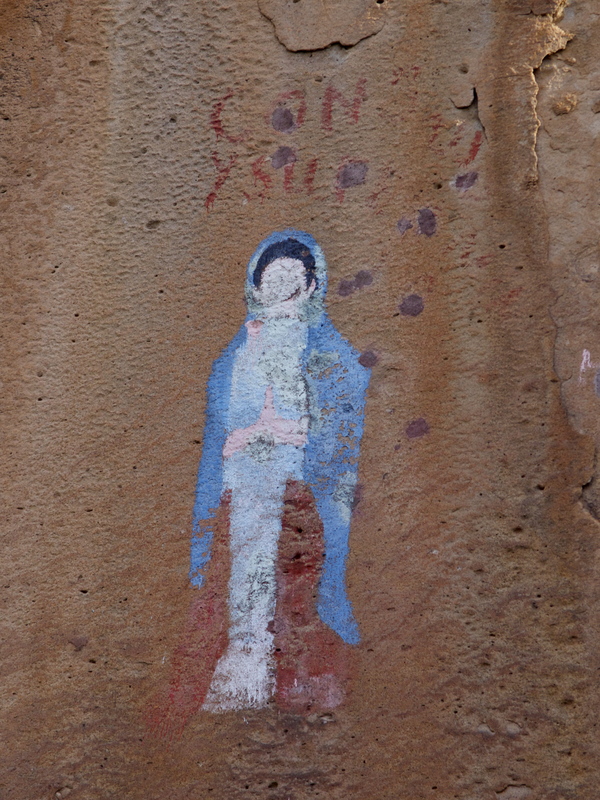 Some sources say this pictograph is an antique, and some place it in more modern times, around the 1940’s. 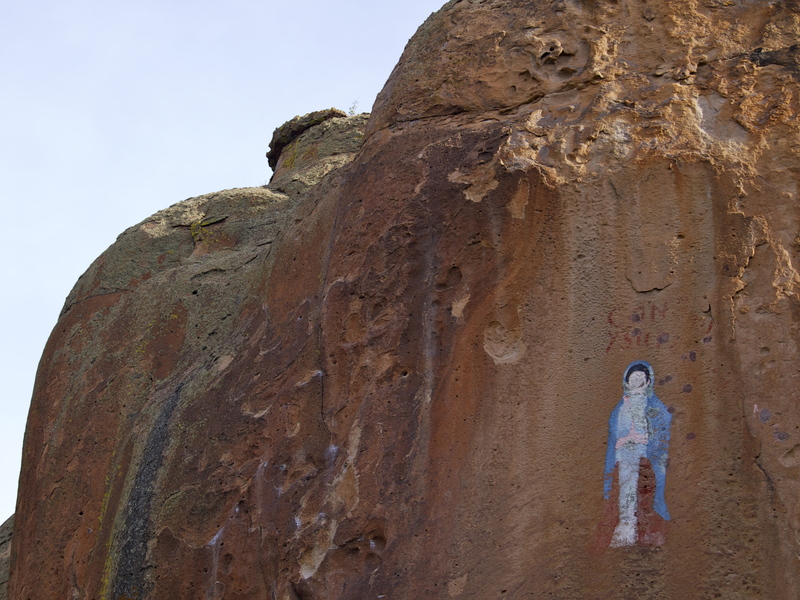 The inscription used to say “Consuelo y Espiritu”, which means Comfort and Courage in Spanish. I love the desert, but I’m feeling parched and ready for some water! On to Manitou Springs! I’ve been in that area a few times, but never seen these spots. Really cool. Colorado is my favorite state and has so much to explore. I love your photos, especially of places I have never seen! Thank you for sharing! Hey, you have a hat on…did you find yours and get a new one? I noticed you had a hat on…did you find yours or buy a new one? Even after living in Colorado for seven years it still amazes me how much I still haven’t explored in the state. thank heavens for the BLM. im on my way to the great basin next week, i can’t wait!